Or more particularly let’s talk about the two tax bills that were introduced this week. Some time last century dear readers your correspondent was a junior accountant for an oil company in the UK. And in that company was a low cost petrol retailer. Now one day in the early nineties all staff – yes even the accountants – were called into some marketing meeting. Purpose of meeting was to explain some new wizard marketing strategy that we could all sing and dance around. But before that particular experience some faceless but well dressed consultant treated us to some research. It was on customer behaviour and why customers chose one petrol station over another. Riveting stuff. And have to say the monthly accounts I would normally be doing at this time were starting to look pretty good. Now pretty much like every consultant presentation I have sat through before or since – the insights were off the scale. People chose our petrol stations because of: location; retail stuff and coz we were cheap. Genius. Worth every penny. So glad they got the specialists in for that. But then they dropped an actual knowledge bomb on my 25 year old self. As well as the blindingly obvious stuff – there was an actual true story group of customers that used our stations just because we said we were low cost. And for this group it didn’t actually matter whether we were low cost or not. Saying it was enough. Twenty five year old mind blown. The facts didn’t matter. Now all of this came back to me this week with the Budget and the Family Incomes tax bill that was introduced and passed this week. A Budget that was for low and middle income families. Or as some commentators are dubbing it – a left wing budget. Wow. Just wow. The facts still don’t matter. Now it was Hon Steven’s big day out. Tax cuts for everyone!!! Just under 2 bill per year on tax cuts alone. And while there was other stuff. Vast bulk of the cost comes from tax cuts. Not entirely sure that this was what JustSpeak had in mind with its #billionbetterthings strap line but I guess tax cuts is preferable to any more bloody prisons. And of course anything involving tax – even adjusting thresholds rather than rates – means more money goes to higher earners. It just does. It’s just what happens when you play around with tax stuff rather than transfer stuff. Coz higher income earners are the people who pay are the people who pay most of the income tax for individuals. So any cuts in income tax go to those who pay the income tax. Oh and tax stuff applies to individuals not families. But I guess the clever Treasury people were able to turn this into a family costing below. Soooo families with incomes over $84k get half the dosh. Very progressive. Even if those families didn’t actually want the princely sum of $35 per week and might have preferred it to go to mental health, or more state houses or more refugees. But at least it was only one new prison not three! #smallmercies. But hey this is the party that has been elected. They can kinda do what they like. But a raid into Labour’s territory? Really? I guess if you say it often enough it must be true. And then for comic relief was the political equivalent of a wardrobe malfunction. Hon Steven said that only one third of those eligible for IETC claimed it in a year rationalising its repeal. But then following questioning from the Michael Wood, Tim McIndoe kindly clarified that yes it was more 30% during the tax year and another 50% at the end of the year. Right ok. 80% not 30%. 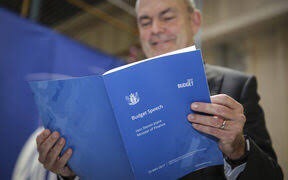 And to be fair in the like actual Budget speech Hon Steven did say ‘during the tax year’. So not like actually lying. And in reality more likely a mix up in the bureaucracy than any intention to mislead. But to your correspondent Budget 2017 – whole thing – deeply underwhelming. Just hope they didn’t also waste money on consultants as well. Now ironically there was another tax bill that was also introduced last week that actually was a raid into Labour’s territory. Making everyone pay their fair share and all that. For top earners anyway. The Taxation (Annual Rates for 2017–18, Employment and Investment Income, and Remedial Matters) Bill. Just trips off the tongue. And on the whole it is a standard dull but worthy tax bill. Except for Employee Share Schemes. A well buried piece of social justice aka base maintenance. Now the commentary and the previous discussion document are eye wateringly technical. Even your correspondent struggled. But buried in the RIS – para 54 – is the comment that it will raise $30 million a year. Now tiny in comparison to Steven’s big day out but quite a bit for a base maintenance item that deals with the taxation of remuneration. Especially since this is a net amount and there is an extension of a tax expenditure promoting widely offered share schemes. #workerparticipation. Coz while yeah there are holes in the taxbase generally – all the remuneration stuff tends to be pretty water tight. It all seems to have started life with a Revenue Alert that the department issued in late 2015. There they set out two wheezes that quite honestly could really only be used by important and well remunerated employees. 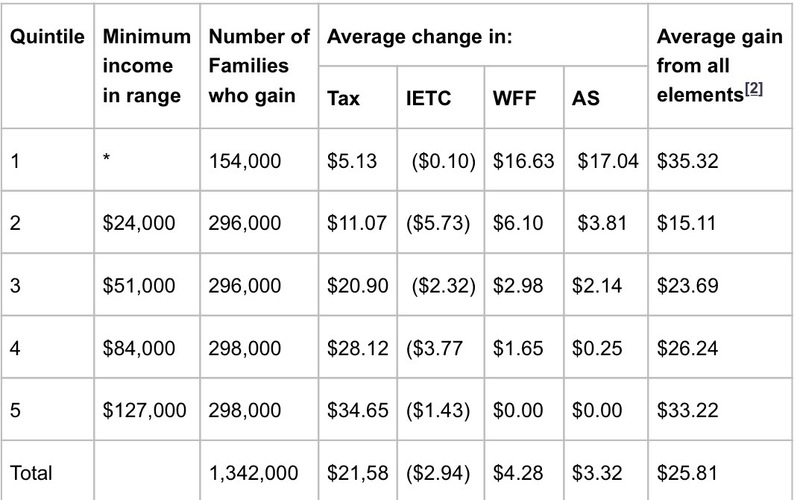 People for whom the top tax rate is pretty much their average top rate. Coz honestly what employer could be bothered going to this amount of effort for ordinary employees. 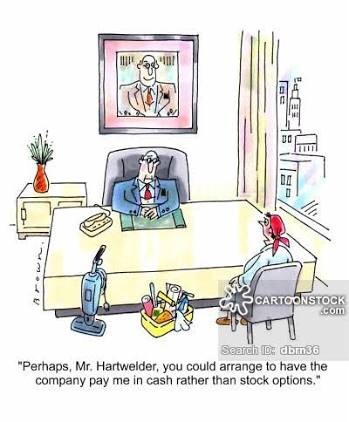 Now currently the law pretty much says that if employees get shares then the difference between their value and what they pay for them is income. Makes sense. An employee buys shares on day one for market value. Awesome no taxable income there. No transfer of value. Alg. But they buy them with an interest free loan. Nah still cool. The value is in the interest free part and that is catered for by the Fringe Benefit Tax rules. Now there is a specific exclusion for interest free loans for employee share purchases. Mmm. Nah still ok. This is a specific concession and while it is an interest free loan – it is still a loan and needing repaying even if the shares go down. So yep still alg. Except the wheeze is that the loan can be fully repaid by just handing the shares back. Ahh wot? So if the shares go up – the difference is an untaxed capital gain but if they go down – nowt. Mmm no. Now the lovely Commissioner has quite correctly said – yeah nah – tax avoidance. And coz this is all connected to employment is looking to tax the gain as remuneration. Yep with you there Mrs Commissioner. Now applying the tax avoidance provision all over the place is no way to run a tax system. So Hon Judith’s bill applies if you buy shares from your employer but you aren’t subject to the risk of them declining in value – aka not held ‘at risk’. In those situations when you get actual value from the transaction – that value is taxable. You know kinda like how when you are on a promise for a bonus – when that bonus actually materialises it is taxable? Yeah just like that here too. Now yeah what ‘at risk’ means might not be super clear but tax avoidance audits aren’t super fun either. And as my late dear friend Tim Edgar would have said – just stay away from the edge. Everyone else pays tax on gains from their employer – so should the employees whose employers can be bothered to do clever stuff for them. 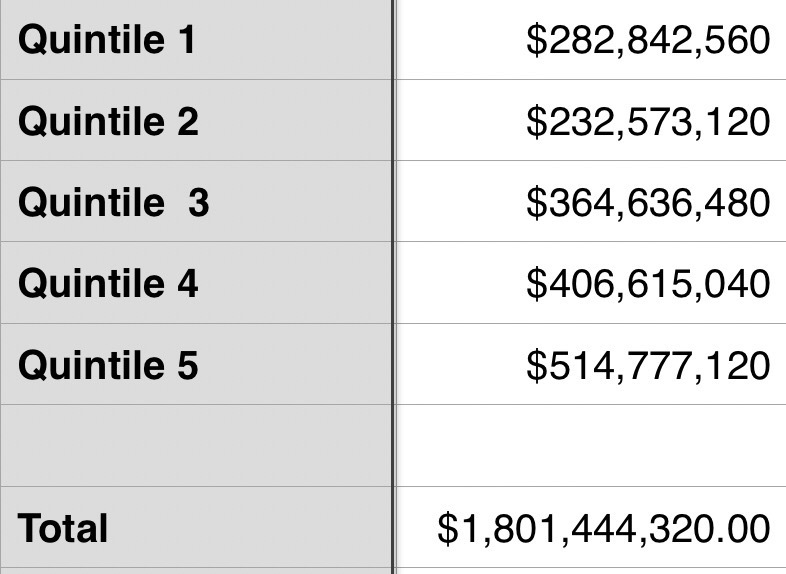 And this is what a socially progressive tax bill actually looks like. Hope it survives select committee. I’m pretty sure that the income tax components on this Budget will have been more redistributionist (ie focused where one might think a left wing govt would cut income taxes) than, say, the tax cuts from late in the last Labour govt’s term. Of course, it is fair to counter that the current Labour Party isn’t favouring tax cuts at all. But this wasn’t the sort of package National’s core constituency will have been looking for.